A strong trademark is vital to the brand building process. When selecting a trademark to marry to your brand values and message, it's important to know where a proposed brand name lands on the continuum of legal protection. The ability to protect your mark should inform your final trademark selection. 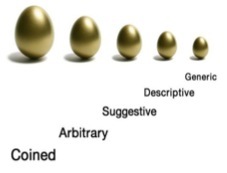 Knowing where a prospective mark fits on the golden egg continuum of brand strength can mean the difference between a valuable brand name, and a descriptive or generic term that cannot function as a trademark. Two of them are really bad choices. They are worthless and cannot likely be registered or enforced. What is the trademark continuum? The trademark continuum is a framework used by brand protection professionals in the trademark selection process to determine the degree of protection afforded to any given term. The strength (and hence, degree) of legal protection is based on a series of labels: coined, arbitrary, suggestive, descriptive, and generic. They are represented by our disappearing golden eggs, indicating disappearing brand strength. The smaller the egg, the weaker the brand. Greater risks, as well as increased legal and marketing costs are associated with a weak selection. Conversely, the larger the egg, the greater the potential for increased brand value—and the less you will pay to protect and enforce the mark. The difficulty for the new brand owner is to determine where a given mark lands on the continuum. Some terms fit neatly into a clear category, others are more difficult to analyze and fall into the high-risk category. The further along the continuum one moves, the less protection courts afford to the brand. For example, if a mark is descriptive, the owner will be unable to stop third parties from using the mark unless the brand owner can also gather and produce expensive evidence that proves to a court that consumers recognize the mark as being associated with your goods and services. This is a costly yet easily avoidable risk. Coined and fanciful marks are terms that are coined or conjured up to function as trademarks. They are inherently distinctive. ALTOIDS® is one of the oldest and strongest coined marks, was first used in the nineteenth century! No wonder it is known by its tagline (which is also a strong mark): The Original Celebrated Curiously Strong Peppermint. Other well-known, fanciful marks are Exxon, Xerox, and Clorox. A coined mark is entitled to the greatest degrees of trademark protection. Q You mentioned that Xerox is a created name. We hear branding lawyers sometimes use the term coined or fanciful. Is this what you were referring to? Exactly. Unlike a name that already exists (like Apple, which was in the lexicon and used in an arbitrary way), the strongest trademark are marks that are fanciful or coined. This means you create it. The name does not exist prior to your creating it. Xerox was created from the word xerography, from a Greek term meaning dry writing. Chester Carlson was a patent attorney who was smart enough to know at the time that he needed to have a very strong trademark. He went out and he created one. A coined mark is entitled to the strongest form of trademark protection. Q When there is a product as unique as the photocopy machine and the product became so ubiquitous in our society isn’t there a risk? The need to manage and educate the consumer as to the proper use of your trademark as well as the generic term for the trademark is absolutely important. Then you have your trademark “XEROX photocopier” or “photocopy machine.” The risk is that when you do not come up with the generic noun for the product, the trademark itself becomes the noun. We are talking around a big issue here. Often, Xerox is used as the noun and that is not because we did not try to avoid it. The problem there is that Xerox was such a revolutionary product, the Xerox machine, it became sort of a victim of its own success. Don't let your brand be hung by its tongue. Click here for the free Guide to Proper Trademark Use. An everyday word, picture, or symbol in common use can be applied in an arbitrary manner to goods and services that are unrelated to the term being used as a mark. These result in a strong mark. Apple and the famous bitten apple logo are arguably the world’s strongest arbitrary marks. Terms that suggest but do not describe the qualities, ingredients, or characteristics of a product are great marks, if you can find one! A suggestive mark is inherently distinctive, one of the strongest marks of all. Selection of a suggestive mark can be tricky because the fine line between a descriptive and suggestive mark is much like a fence. If you land on the wrong side, you end up in a different neighborhood. The task of selecting a distinctive, suggestive mark is all the more challenging for new brand owners who naturally gravitate toward descriptive terms. After all, they want customers to understand what the company is offering. However, describing the product or services offered under your brand name is best left to advertising and marketing materials, not your brand name. One of my favorite suggestive marks, Interior Alignment could have been lost easily based on an incorrect placement of the mark on the continuum. The mark suggests that there is some sort of structure or organization to an interior. But interior of what? A home, a person’s spiritual or emotional well-being? The very fact that the mark conjures up a question that leaves one wondering is the precise reason it is such a great example of a suggestive mark! 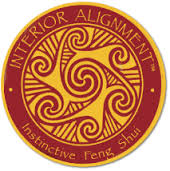 Interior Alignment is serves to identify the outstanding training and certification program created by author and speaker Denise Linn in the field of feng shui. Once certified as an Interior Alignment practitioner in the ancient art of feng shui, IA practitioners use the mark to signify the rigorous quality of the training they received. Denise used the term for years, as did several hundred graduates of her rigorous training program. But Denise had no federal trademark protection because she encountered a “non-expert, expert” years earlier who had incorrectly advised her she could not register her brand name. Denise believed that notion for some time, but sought my advice years later. I immediately understood the mark was suggestive and filed for registration. It turns out that INTERIOR ALIGNMENT is one of those rare, very strong suggestive marks. The application was approved with no objection at all, meaning it sailed through the rigorous Trademark Office Examination process. As such, it became one of only approximately 15 percent of all applications filed at the US Trademark Office that are immediately approved and passed for registration without any objections or the need for amendments. 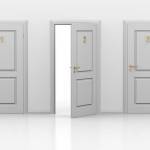 (About 85 percent of all filings receive an initial rejection from the Trademark Office). Today, Interior Alignment is a strong, distinctive, and well-protected brand name in its field. This story also underscores the import of finding truly expert brand counsel to guide and protect you. A descriptive mark is one that describes the intended purpose, function, or use of the goods. It can describe a class of users, the nature of the goods, the end effect upon the user, or desirable characteristic of the goods and services. Words that describe the qualities, ingredients, or characteristics of a product are also descriptive. Descriptive terms may not be enforced as trademarks absent proof of acquired distinctiveness. To acquire distinctiveness, you must provide evidence that consumers recognize the name and associate it exclusively with your products or services. In 2015 alone, the Trademark Office rejected 29,992 applications on grounds the applicants' marks were descriptive and not registrable. Some of my most valuable advice I provide is when I attempt to dissuade a client from selecting a descriptive term as a brand name. The speed bump looks minor, but it is a disguised pothole that can completely derail the value of your business. Applications to register terms that are descriptive routinely receive a rejection from the Trademark Office. The Trademark Office may allow the mark be registered on the Supplemental Register. At the end of five years, the registrant can submit evidence that the mark has become distinctive and be allowed to move the registration to the Principal Register. However, this is a trap and is to be avoided. Even if a mark makes it onto the Principal Register after five years, the mark will almost always face a costly uphill legal battle should the need arise to enforce the mark. You must first prove the mark has achieved popularity and is recognized by consumers for the goods or services being offered to the public. This requires costly survey evidence, all before the owner is allowed to get to the merits of the case against the poacher. Generic terms are those which words which are the word for the product. “Apple” for fruit is generic (but not for computers or iPhones). So is “Hotels.com” for hotels. Generic terms are not trademarks and will never be protected when applied to the goods or services they represent. Hotels.com has no rights in the word hotels because the site offers hotel reservations, which makes its term generic in terms of the services offered. It is a textbook case of the generic domain pretending to be a brand. In summary, adoption and use of a descriptive term as a trademark leads to two problems that many owners can never overcome. First, registration is difficult if not impossible. And resulting registrations are often not worth the paper they are printed on. The owner operates under a somewhat delusional belief that a mark is protected and then learns otherwise when confronted with a real problem in the marketplace. Second, enforcement proceedings are more expensive and results less certain because the courts require a much higher standard of proof of acquired distinctiveness before granting protection. Opponents will exploit this weakness to its fullest. The moral of the story: Selection and Protection are great bedfellows!